Quite early on it became clear that the original outbuilding of our house was just too small for my pottery. I coped for four years, mainly due to my ‘a place for everything and everything in its place’ attitude, inherited from my late father. Also I was unhappy about working alongside firing electric kilns, not just because of the fumes, but the impact of the workshop’s high temperatures on unfinished pots, make it difficult to keep them at the required leather hard state. 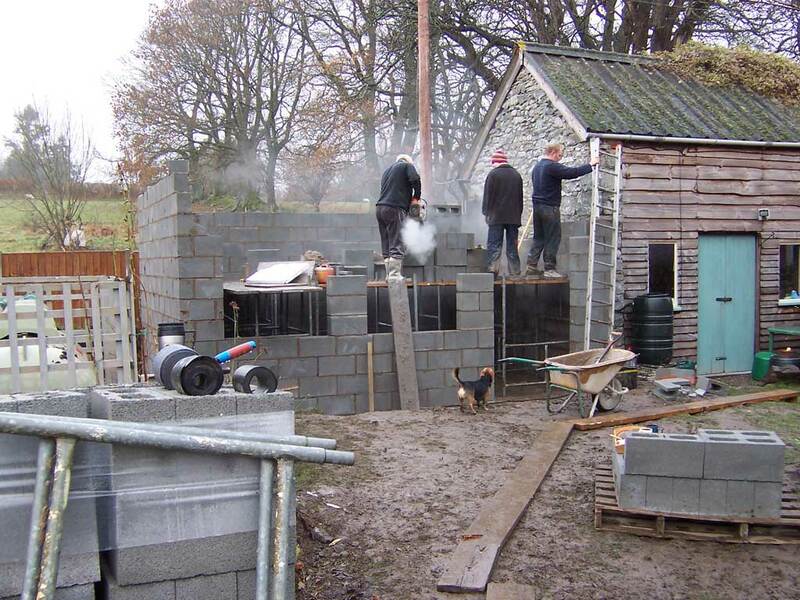 In 2005 I successfully gained match funding for an extension to the existing workshop. 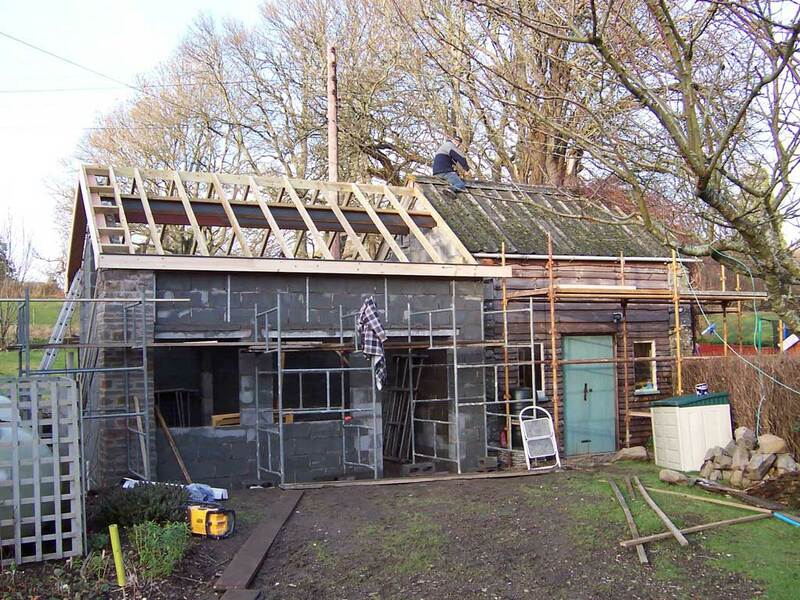 Creating a separate throwing and making studio, converting the original building to a kiln, stock and glazing space.